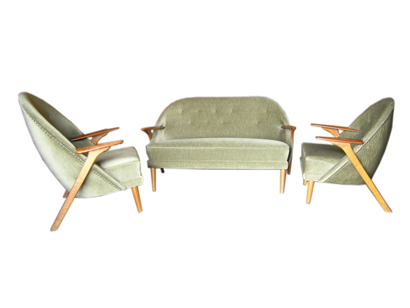 This unique grouping is comprised of a settee, “His” armchair and “Hers” armchair. 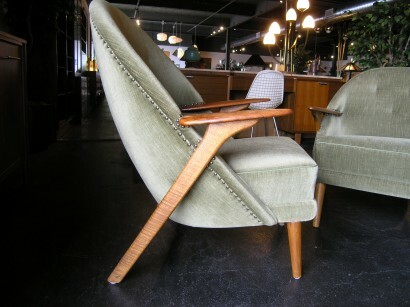 Solid construction and in all-original condition. 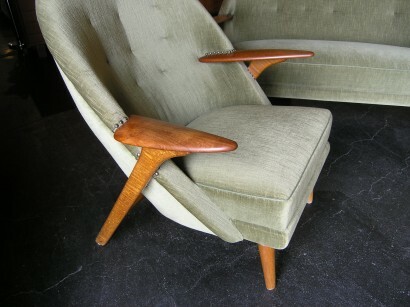 “His” chair measures 31″W x 32″D x 38″H x 17.5″ seat height. 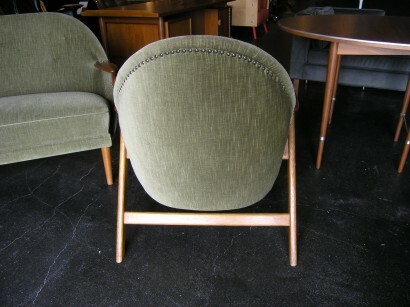 “Her” chair measures 28″W x 27″D x 33″H x 16.5″ seat height. 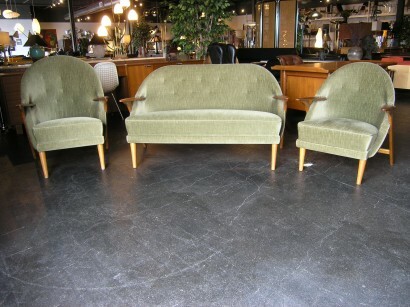 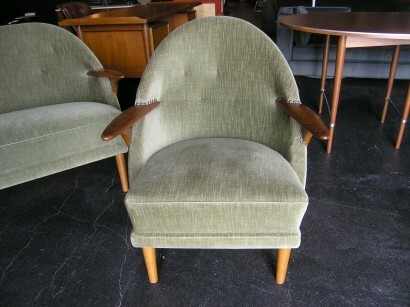 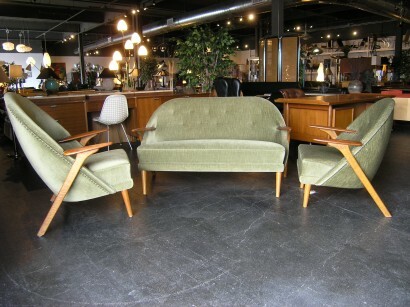 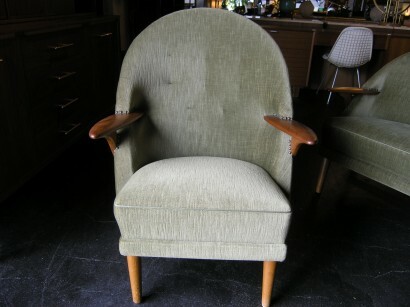 Very good vintage condition, small tear near inside arm on larger chair.